Sulforaphane belongs to a group of phytochemicals, or disease-fighting compounds in plant foods, known as the isothiocyanates. Along with related phytochemicals, it helps to prevent against the development of cancer. Sulforaphane prevents certain enzymes from activating cancer-causing agents in the body and increases the body's production of other enzymes that clean carcinogens out of the system before they can damage cells, according to sources such as the Breast Cancer Research Program. Sulforaphane is produced in cruciferous vegetable plants only when two enzymes in separate "sacs" react, myrosinase and glucoraphanin. Broccoli sprouts are the richest food source of glucoraphanin, the precursor to sulforaphane, or SFN, also known as glucoraphanin sulforaphane. Three-day old broccoli sprouts are concentrated sources of this phytochemical, offering 10 to 100 times more of it, by weight, than mature broccoli plants or cauliflower, according to research published in September 1997 in the "Proceedings of the National Academy of Sciences." 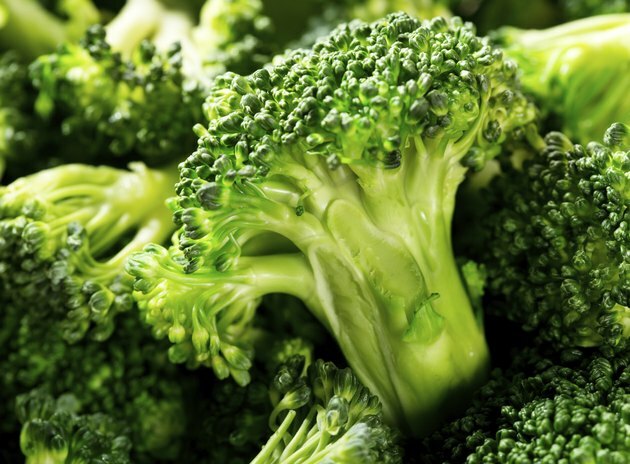 A 1-ounce serving provides 73 milligrams of sulforaphane glucosinolate. 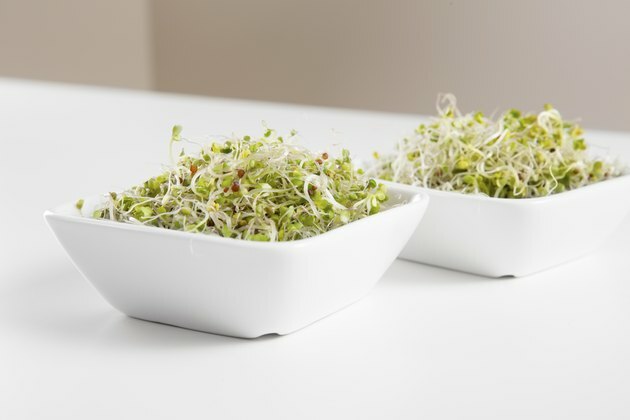 Per 100-gram serving, broccoli sprouts offer approximately 250 milligrams. You can purchase broccoli sprouts at many health food stores and certain grocery stores. Lightly cooked, they taste similar to steamed spinach. 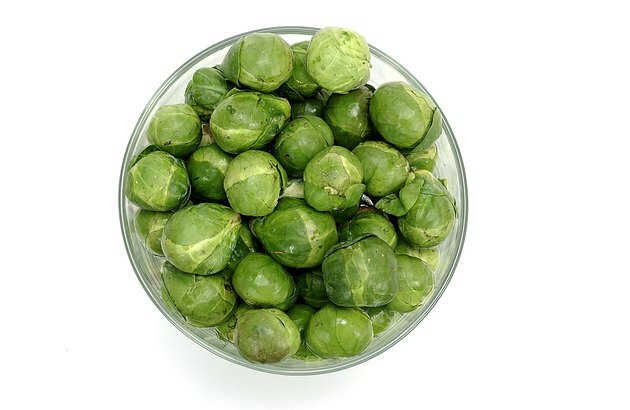 Another vegetable within the cruciferous or Brassaca family is the Brussels sprout. According to the Linus Pauling Institute for Micronutrient Research, while all cruciferous vegetables are rich in these disease-fighting phytochemicals, some cruciferous vegetables are better sources of specific glucosinolates, or sulforaphane precursors, than others. A 1/2-cup serving or 44 grams of Brussels sprouts, raw, provides approximately 104 milligrams of total glucosinolates. Glucosinolates are water-soluble compounds that are leached into cooking water. These phytochemicals are easily destroyed. Boiling cruciferous vegetables for just 9 to 15 minutes decreases total glucosinolate content by 18 to 59 percent, according to research published in September 2003 in the "British Journal of Nutrition." Cooking methods that use less water, such as microwaving or steaming, may reduce losses. 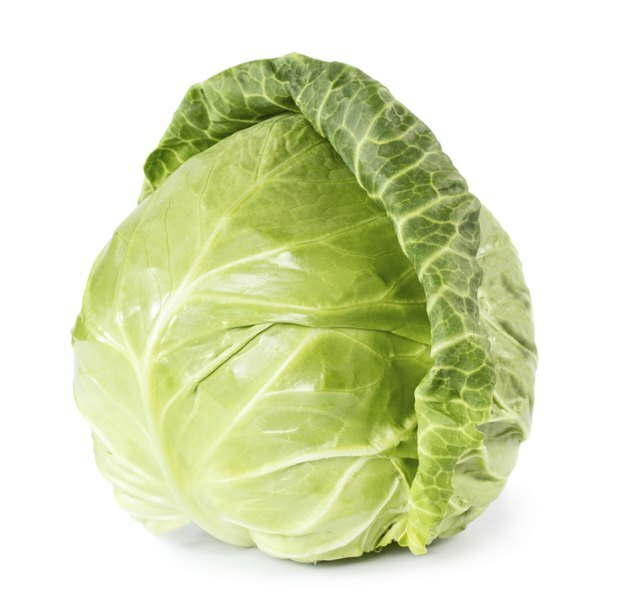 There are several varieties of cabbage -- many of which are rich in glucosinolates. Two varieties in particular, are high in this sulforaphane precursor, Savoy and red cabbage. As with other cruciferous vegetables, cooking destroys the phytochemical and may inhibit the reaction between myrosinase and glucoraphanin, necessary to produce sulforaphane. A 1/2-cup or 45 grams of chopped Savoy cabbage provides 35 milligrams of total glucoarphanins while the same amount of chopped red cabbage offers 29 milligrams. The best way to retain prevent losing the phytochemicals in cabbage is to enjoy it raw, perhaps in a cole slaw. Do Vegetables Lose Nutrients When Cooked?